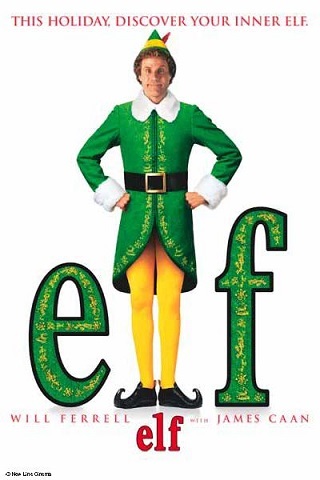 Will Ferrell stars as Buddy, a regular-sized man who was raised as an elf by Santa Claus (Edward Asner). When the news is finally broken to Buddy that he's not a real elf, he decides to head back to his place of birth, New York City, in search of his biological family. Elf also stars James Caan, Mary Steenburgen, Zooey Deschanel, and Bob Newhart. Presented by Bank of the Pacific Will Ferrell stars as Buddy, a regular-sized man who was raised as an elf by Santa Claus (Edward Asner). When the news is finally broken to Buddy that he's not a real elf, he decides to head back to his place of birth, New York City, in search of his biological family. Elf also stars James Caan, Mary Steenburgen, Zooey Deschanel, and Bob Newhart.